Show #49 – MBB Radio, Our First Anniversary! – Best Selling Author Sharon Sakson – Gretchen Fieser of the Western PA Humane Society – Dr. Kim Bloomer on Feeding Your Pet a Raw Diet! When I first introduced the idea in a meeting almost 2 years ago we all thought it was a good idea, but seriously, how could we even develop a show about pets when there are so many others doing it so well for so long? Well, after many discussions and meetings about the My Buddy Butch Brand we decided to move forward with the show giving it one year to see if we could raise enough interest on a regional basis to continue. Much to our suprise and delight within a 3 month period, the enormous response from coast to coast (and in many countries)Â that we received, told us that we were a needed and welcomed addition to the “pet broadcasting” community. Trying toÂ help as many pets and people as we could in addition to entertaining them with my “learning curve” of taking care of Butch has proven to be a worthwhile experience for all who have been involved. Most importantly theÂ quickly growingÂ list ofÂ fans and subscribersÂ of the show (and Butch of course) have spoken and have learned much about themselves as pet owners and about taking care of their pet just a little better. We have had more than a few animal adoptions take place because of our “Pet Rescue of the Week” segment and have relayed important information on our “Vet Topic of the Week” segment. All I can say is “Thank You” to all that have helped us, been a guest on the show, or adopted an animal from a rescue org. We love doing the show and although weÂ sometimes have our problems, try to get the info out to you each week! All the best to each and every one of you and “stay tuned” as we will be introducing additional My Buddy Butch material to you in the next year, some of which will be coming to a TV near you! Sharon Sakson joined us briefly, but unfortunately we were not able to talk with her as long as we would have liked. With nasty storms rolling through New Jersey Sharon was experiencing some power problems. We did however have a chance to talk to her a little later in the show giving us a taste of her book Paws & Effect: The Healing Power of Dogs I’m am currently reading this book and loving every page. I believe that this will be my first review on the site. It is OUTSTANDING and Sharon has set the bar for aspiring writers like myself with this moving “tale!” Sharon will be joining us again next week to finish our discussion on this great book! It is a privlidge every week to meet people doing the work of helping to save animals around the country. I have talked to many people around the country at shelters and rescue orgs, and pet food banksÂ doing the work of guardian angels toÂ all types ofÂ animals that need our help. The one thing that they all share in common is a caring, compassionate, heart of gold andÂ loving spirit that helps them do the work that many of usÂ probably could not do on a daily basis. This week was no exception with Gretchen Fieser joining us from the Western PA Humane Society. Gretchen has a strong, passionate spirit for helping to save animals of all types and it shows. With her impressiveÂ in-depth knowledge of the origin & historyÂ of animal rescue and shelters her caring nature shines through every sentence. Please visit the Western PA Humane Society and adopt a deserving animal. Be part of the solution! Dr. Kim Bloomer of “Animal Talk Naturally” joined us this week to expand on our “Recipe” show from last week. Dr. Kim is a Veterinary Naturopath and most definitely a foremost expert on feeding your pet a raw diet. Dr. Kim has been a friend of My Buddy Butch since we aired our first few shows contacting us to welcome us to the “family.” Â She is a great lady that loves her animals and wants the best for them so she knows first hand the great results she sees from feeding a “raw diet” to your pet. Listen in to hear some tid bits about how to prepare a raw meal and don’t forget to check out Dr. Kim’s web site for more information on feeding raw!Â (Not in the raw!) 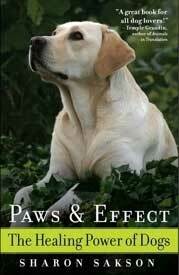 She also has other usefulÂ information on natural pet care on her site. Don’t forget to check out ourÂ â€œMBB BLOG EXTRASâ€Â Â for some more recipes and info. on your pet’s diet! My Buddy Butch – Confessions of a New Dog Dad WILL be released on Ebook for your favorite reader including the popular KINDLE! Stay tuned for upcoming details! RESCUE SHELTERS AROUND THE COUNTRY: Do you know of a reputable pet rescue shelter in your local area? Are you a Rescue Shelter your self? We would love toÂ interviewÂ you on our Weekly Pet Rescue Shelter segment on the show and here on our blog! You can be big or small, breed specific or all breed, rescue dogs, and rescue other animals as well!Â Contact us at info@mybuddybutch.com and put â€œRESCUEâ€ in the subject line! GROUND BEEF RECALL IN USAÂ - Just when we talked about cooking for your Petâ€¦It Figures! PIKES PEAK PET PANTRY IS HAVING A PETÂ FOOD DRIVE!Â Until AUgust 15th! Please do what you can to help! ART SHOW TO BENEFIT THE RESCUE OF ANIMALS HERE IN OHIO - Artist? Enter your work and make a few bucks! Purchase our AWARD WINNING BOOK at MyBuddyButch.comÂ ! Or better yet use the Toll FREE number to order 800-247-6553!Â You can ask for an autographed copy if you wish! Read More Reviews of the Book HERE! WINNER – MOMâ€™S CHOICE AWARD - ADULT NON-FICTION. USA BEST BOOKS AWARD FINALIST - USA BOOK NEWS! My Buddy Butch is an Award Winning Book!